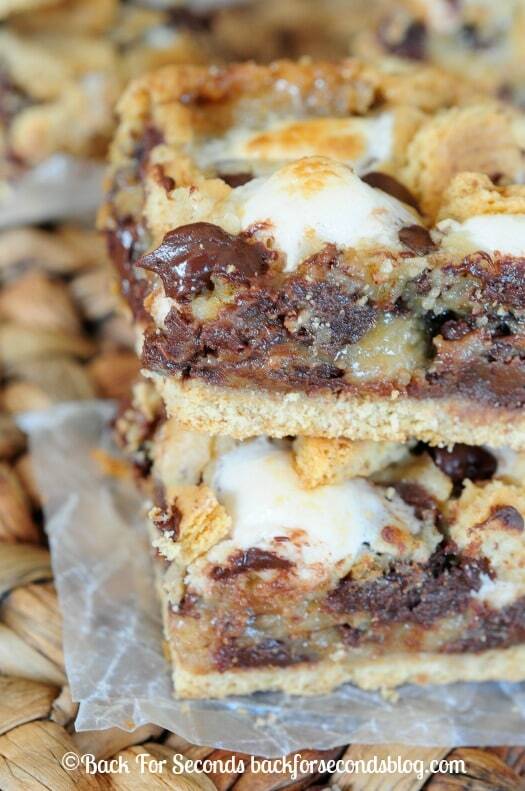 These easy S’mores Cookie Bars will have you craving s’mores in a whole new way! 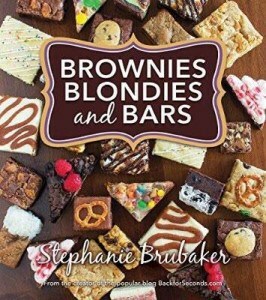 All the flavors and goodness of s’mores without the campfire and the mess! I have to admit something. I kind of hate eating s’mores. They are just so messy! Even if you do your best to eat them with grace, strings of gooey marshmallow always find their way onto your chin. 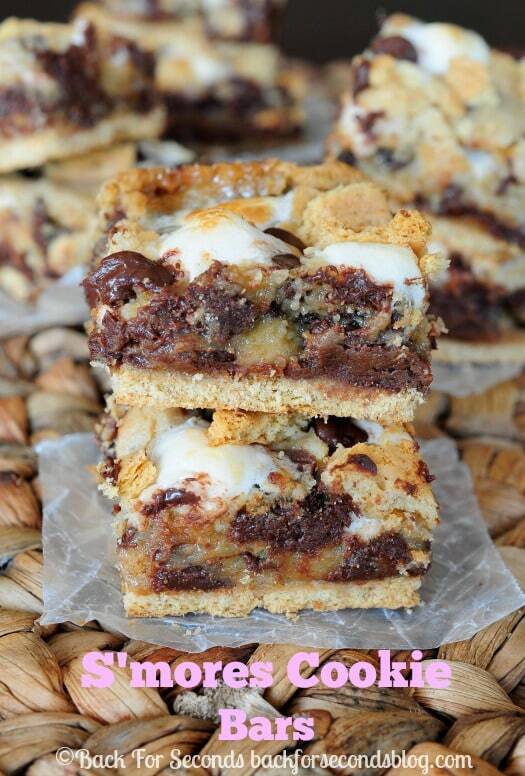 These S’mores Cookie Bars are the answer! I love that these cookie bars have a crust. It helps contain the gooey melty s’mores goodness, and gives that extra punch of graham! 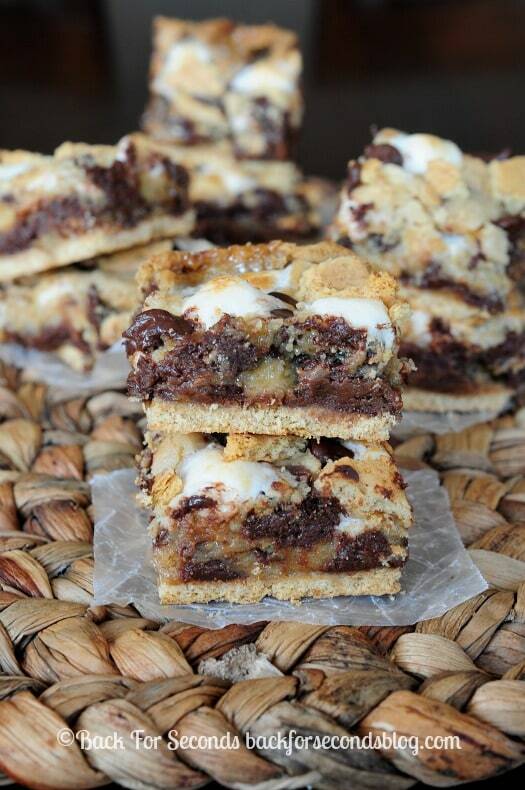 If you love cookies and you love s’mores, this is a scrumptious way to combine them! These bars are heavenly Stephanie! And I’m a firm believer in s’mores year round so don’t stop here 🙂 Pinned! 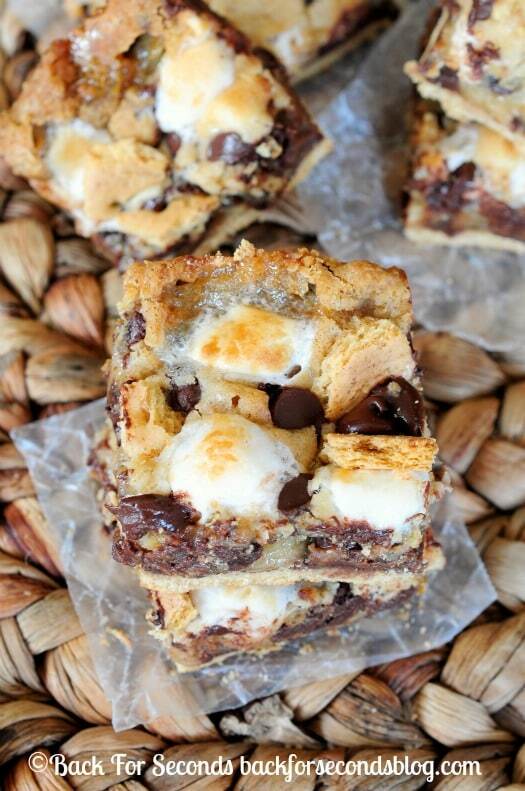 Made the S’mores cookie bars…when I put them in the oven I really thought it wasn’t going to be good….OMG – they are amazing!!! Going to visit my son in college tomorrow – he will love these! Will be keeping some at home for us! I made these TWICE in a week thats how great they are! My 8 and 5 year old had alot of fun making them with me. Thanks for the recipe. I made these last night. They were incredible. My only suggestion is that 10 sheets of the grahams did not it in a 9×13. I tried several different 9x13s so I split it up and put some in a 913 and some in a 8×8. The key is the batter must be on top of the grahamas.Next time I might even use 12 grahams to make them a bit thinner because they are very rich.